Good news: the offer is endless. Better news: we make a summary so you can choose according to your budget and your desire for gastronomic adventures. First of all, a little clarification: the restaurants mentioned have been tested by us, by the members of Barcelonina. Neither pay us nor give us commissions to appear on our website. So, let’s start! They opened in 1786 and as you can imagine it is one of the oldest restaurant in Barcelona. Since 1958 it belongs to the Agut-Manubens family and that is why it has a familiar and comfortable atmosphere that is often difficult to find (although many want to imitate it). Every day they open their doors so that their customers eat well at reasonable prices, and that is why every day they succeed. It is located in the heart of Barcelona, ​​two steps from the Rambla. Looking on the internet they define it as a tavern, but for Barcelonina it is a restaurant with all the ingredients to have an excellent time. It dates from 1924 and is decorated with paintings by local artists from the 50s and 60s. They propose a traditional cuisine and the staff is very friendly. Mr. Isidre and his wife Montserrat opened the restaurant in 1970 in the barri del Raval and very close to the artistic avenue of the Paralelo. They propose a cuisine based on the product, which they buy in the popular Boquería market. Núria, daughter of the founders, is also part of the team and takes care of the desserts. Both the neighborhood and the restaurant are one of the most authentic of Barcelona. It was opened in 1890 as Fonda Navarro being a winery to become a restaurant. Fonda Navarro will witness the arrival of the 20th century in Barcelona. This means the arrival of electricity, of the telephone, of the cameras, of the cars, of the University … In 1940 it was renamed Ca l’Estevet. They propose a traditional Catalan cuisine and every Wednesday of winter they serve escudella and carn d’olla, which would be like the Catalan stew. If you ask us where the people of Barcelona will eat daily. L’Antic Forn would be a good answer. Its specialty is the barbecue and during the winter they propose calçotades: a calçot (the ç is pronounced as the s) is a very tasty and tender elongated onion. 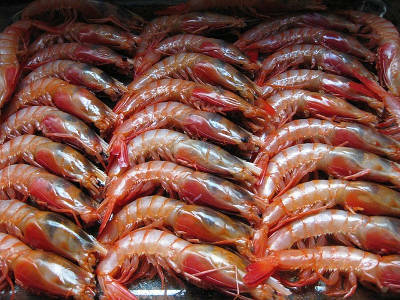 It is grilled and bathed with a special sauce ( each family or each restaurant has its recipe) and eaten. It is located in the neighborhood of Horta in a “village house”. Of all the list is the most rustic and going there means leaving the city center to visit one of the most characterful neighborhoods in the city. His proposals are traditional and his service very familiar. If you fancy a simple and relaxed lunch / dinner, we recommend it. it is a very nice restaurant, with all the positive connotations of the word and one eats wonderfully well. And to make it even better, the price is more than reasonable. Its chef, Ada Parellada, gives personality to the restaurant and its cuisine. If you want to taste Catalan cuisine with a twist of modernity, do not miss it. A very modern restaurant, currently fashionable in Barcelona located in a very eclectic neighborhood: the Raval. They have modernized the kitchen both on the premises (it is in sight) and on the plate. Their meatballs with cuttlefish or their cannelloni (giant) are worth it. In addition, they always advise good wines. Do you want some tapas in Barcelona? This one is located in the hipster district of La Ribera. it has managed to stay good to his clientele and attract visitors with excellent and above all, generous dishes. Their cellar is excellent and very varied. Their somelier will be happy to advise you. Every evening, the chef goes by bicycle to the fish market to buy it. And from there he realizes the dishes of the day. 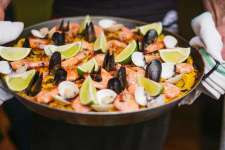 An excellent fish and some paella to fall in love are its main ingredients. In addition, it is located in a typical building of Barceloneta, so it is very small. You can go to bar or to tablecloth, that is, to the table. And both in one place and in the other you will eat really well. Located a few meters from the Rambla and behind the Opera, it has become a reference bar in Barcelona. The staff is very friendly, attentive, and cheerful. Life is fantastic at the Cañete bar! This is the most gastronomic one of this selection. It is managed by Albert Raurich, ex-El Bulli. They propose to return to the forgotten recipes and to the gastronomy in tapa format. If you visit it, a tip: let them advise you. Welcome to the Asturian style in Barcelona. Its name, the Asturian lingua, means to pass the language on something or someone or to eat between meals. The Platillos to share are cooked with the best product and as we say here “eat with your eyes” of how beautiful they are. The place is also worth a visit for its decoration and the wines match everything perfectly. If you fancy something more informal, Llamber owners also have El Chigre Vermutería, located in the La Ribera neighborhood as well. The Gothic Quarter of Barcelona, ​​between Plaza San Jaime and the sea, is a great unknown. Although the western part of the neighborhood every day is full of visitors, the eastern side, less monumental, goes unnoticed. That’s why if after exploring the history of Barcelona, ​​you want to taste some tapas, Bodega La Palma will enchant you. Their croquettes and their ham with bread with tomato woul be the winner in a contest. Also, both the place and the staff are lovely. Barcelona has several Ramblas, and the last one to arrive has been the Rambla del Raval. And it is there where we find this tiny bar where they will receive you as if you were a member of the family. Their potatoes with all i oli and their octopus deserve a stop. It is a mythical restaurant in the Raval neighborhood that in 2017 started a new stage. Their cuisine is of an excellent quality and they have preserved some of the typical recipes of the city. They propose a menu at a fixed price that changes each season. It is the ideal place if you want to taste our cuisine taking your time. At the beginning of the 20th century it was a tavern known for its board games and billiards and since the 40s the Parellada family is in charge of the establishment. 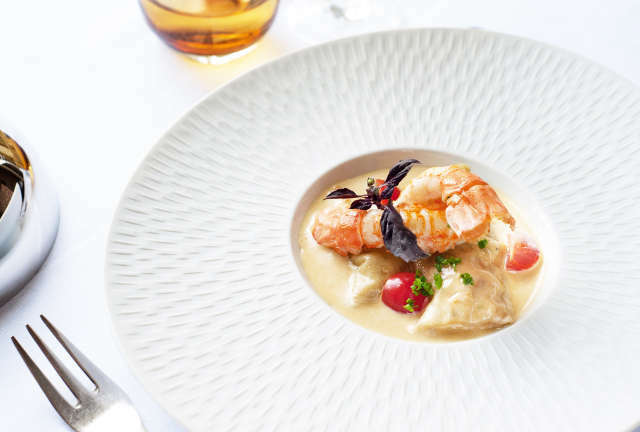 Excellent rice dishes, an extensive wine list and impeccable service ensure you the perfect lunch or dinner. Its unique location, right at the entrance to the port, has turned it into the reference sea restaurant in Barcelona. After a stroll through Barceloneta and the maritime façade, it is the ideal place to discover our gastronomy. Thi is located in a square that will make you travel through time, specifically at the beginning of the 20th century. In addition to the quality of their cuisine, they also take into account the combination of dishes, so follow their advice! It is the reference seafood restaurant in Barcelona. Of Galician origin, its menu proposes fish from the Mediterranean and the Atlantic. We would need several pages to describe the good things of this restaurant. 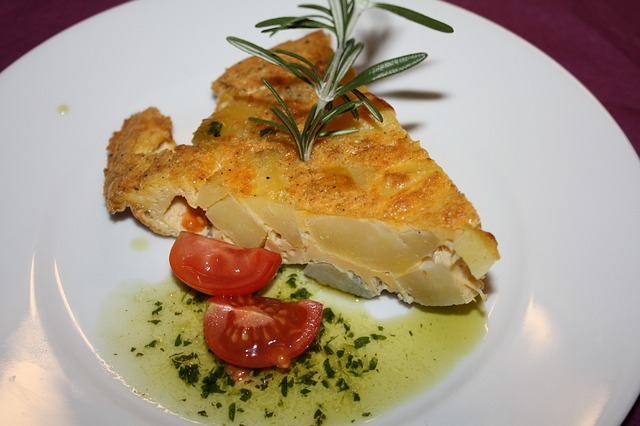 Contemporary Catalan cuisine with local products preserving the flavors of traditional dishes. Each season they change the menu and each time they manage to amaze its faithful parish. If you have something to celebrate or you want to impress someone, this is your restaurant. Avant-garde cuisine by the hand of a team from El Bulli. His proposals stand out for their modernity and for their Mediterranean touch. It is located in the Ensanche, very close to the neighborhood market, El Ninot. Would you like to dine at Salvador Dalí’s favorite table in Barcelona? Well, here it will be possible. In addition, this was one of the first to have a Michelin star in Barcelona. They propose a creative cuisine based above all on the good product. It is located on Paralelo Avenue, the avenue of theaters, entertainment and bohemian of Barcelona. And Tickets itself is part of this show. Led by Albert Adrià, his proposal is based on avant-garde style tapas. If you want to book, you have to do it well in advance in their website. 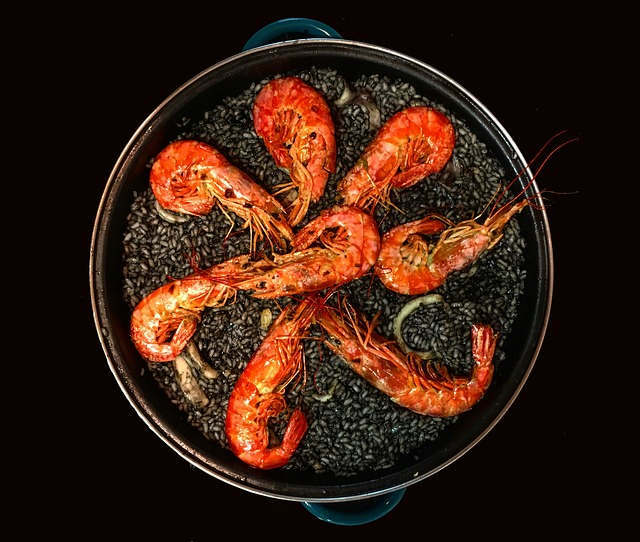 Thi is the restaurant of Raül Balam and together with his mother, Chef Carme Ruscalleda, run the restaurant of the Mandarin Oriental hotel in Barcelona. They have a table with views of the kitchen, so you can see the team in full action. Here ends our selection of restaurants in Barcelona. As soon as we discover new spots deseving to be mentioned, we will update the page. If you are planning a trip to Barcelona, our blog would be a useful help where you will find ideas and tips about Barcelona. Are you looking for a guided tour in Barcelona? Welcome to our site!